Last year, we published The Best Chatbot Apps – Top 5 Apps Powered by AI. It was a lot of fun for us to write and research, and our readers agreed. The response to the article was overwhelming. It was one of our most popular pieces and a lot of people reached out hoping to have their apps added to the list. So, in the spirit of the New Year, this year we’re doing it bigger and better. With over 20+ apps, in 5+ categories, we’re going to talk about some of the must-have AI-powered Chatbot Apps for 2019. But before we start, let’s get up-to-speed on some of the basics of Chatbot Apps. What is a Chatbot App? A chatbot app is a tool used to conversate with humans, over the internet, using a variation of human-mimicking behavior, usually powered by NLP and NLU. What are the types of Chatbot Apps? There are two major types of Chatbot Apps, Goal-Oriented (G-O) and Purpose-Oriented (P-O). Goal Oriented Chatbots are open-ended, they’re there for a conversation. They’ll talk to you till you want to and have no immediately ulterior motives behind their design. Why should I use/build a Chatbot App? Because besides saving you a lot of time, they could also be making you a lot of money. Chatbots can do things other software couldn’t even dream of. Like engaging 99% of your customers in under 1 minute, improving conversion by 240% overnight or shortening your sales cycle by 3x. The app market shows no signs of slowing down either. In 2018, app revenue reached a staggering $92 billion. That’s an increase from $77 billion from the year before. A hybrid of chatbots and apps makes for a quick, convenient and profitable interface. Through our research for this article, we hypothesized that Chatbot Apps fall into one of seven categories. One of the critical functions of a Chatbot is its ability to make life easier for its user. This could be by saving time, money, or both. Everyone has only 24 hours in a day. But with the help of these Chatbots, you can have more ways to spend it. x.ai is a meeting scheduling chatbot unlike any other. Here’s an example of the use case x.ai aims to solve. Say you're the CEO of a fast-growth startup. A lot of your life will involve meetings. Be it with investors, managers, freelancers, your sales reps or product devs. However, even more of your life will involve back and forth emails to set up these meetings. By using NLP and NLG, x.ai can automate this process. Amy automatically sets up a meeting, without human interference. x.ai picks up on the variables mentioned in the mail; time, schedule, location, channel etc. The virtual assistant you choose automatically engages with the recipient in an email thread to set up a meeting, based on your availability and scheduling preferences. x.ai is a paid-product, and prices start at $8 a month. Prisma was one of the chatbot standouts of 2016. Downloaded more than 50+ million times, Prisma used AI to transform photos into works of art. From the Old Masters to Picasso, your ordinary photo can now look like it stood the test of time. Some of the pictures that have Prisma users have made. Built by the original team and launched just a month after the app, the Prisma chatbot aims to deliver the same experience as the app, conversationally. You can access Prisma’s bot on Telegram. The upsides of the bot vs. the app are reported to be faster load times, push notifications and no watermarks. Andy is a chatbot that aims to teach you English. Available on Google Play Store, Andy does just that. With Andy, you can chat, learn new words, study grammar and play language games. You can also practice casual day-to-day interactions like exchanging greetings, talking about the weather, and asking and answering questions about yourself. Andy can also correct your grammar, and point out mistakes and ways to improve. Unlike a regular tutor, Andy is available all the time; for ten minutes, or for ten hours a day. A fan favorite of ours, we included Poncho in our previous list. You can set alarms and be woken up to the weather. Poncho is an omnichannel beast. Alongside standalone iOS and Android, Poncho can also be accessed through Facebook Messenger, Viber, Kik, and Slack. Poncho is one of the most fun chatbots around. The weather is one of the most tedious, albeit one of the most integral aspects of our lives. But Poncho makes it engaging. Filled with GIFs, stickers and modern-day quips, Poncho’s vibrant sense of humor presents you with a new take on something old. Duolingo is one of the most popular language applications in the world. Every day, Duolingo teaches millions of people hundreds of new languages, words, and phrases. If you’ve ever tried to learn a new language, you know it’s a lot easier when you have someone you can talk to in that language. So Duolingo joined the chatbot revolution. Some of the bots you can talk to. Duolingo can connect you to other users learning the same language, so you can have brief conversations and play fun games together. Duolingo’s chatbot allows you to talk to it in any language of your choice, like a virtual tutor. This takes away the time and pressure restraints of having to conversate with a human. The better the user gets at the language, the better the bot performs. The story behind this chatbot reads like a superhero novel. There’s intrigue, failure, sadness, redemption, and success. “Luka” was originally built as a restaurant recommendation chatbot. The founder, Eugenia’s idea was that you could ask culinary questions and get answers. But Luka didn’t do well as a product. Eugenia eventually figured that people like graphical interfaces when choosing food and places to eat. In late 2015 though, Eugenia’s life was turned upside down. Her best friend had died in a car crash. As she tried to cope with this loss, she found herself scrolling through the thousands of text messages she’d exchanged with her late friend; when suddenly, a lightbulb flicked on. Replika has some of the most human conversations you’ll come across. She plugged the text messages into Luka’s “mainframe”, to create a virtual version of her best friend. One that she could talk to, and who could talk back. On the shoulders of this experiment, Eugenia built Replika. Replika is an AI chatbot that doubles up as your friend. Whether you’re feeling overwhelmed, anxious, or just need someone to talk to, Replika is here to help. Swelly is designed to be your personal internet pollster. 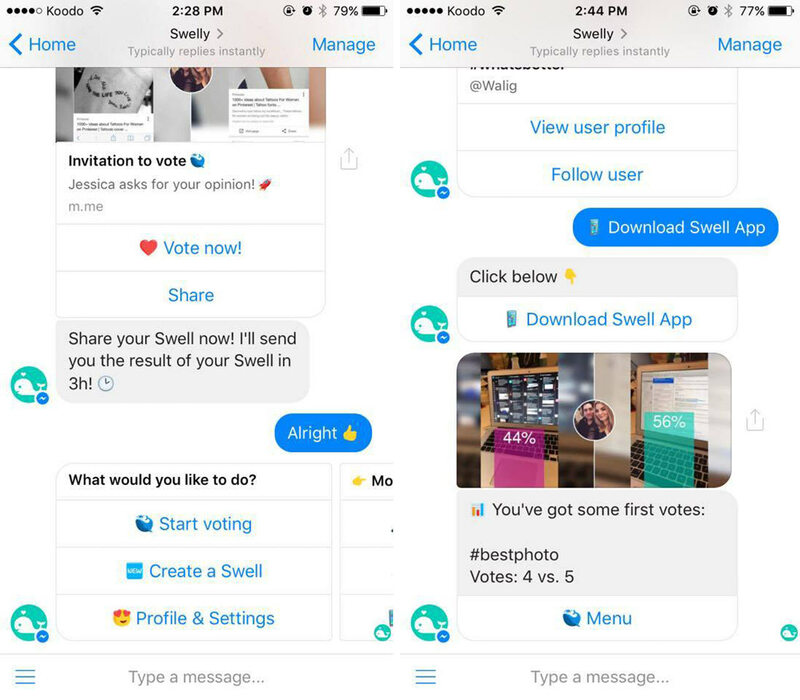 Using Swelly’s chatbot features, you to share your opinion with a worldwide community and get feedback on your own questions within seconds. Ask questions that range from what you should get for lunch to what people think about your brand new feature. Voting has never been easier. Swelly describes itself as Instagram for A/B questions. Post 2 pictures, add a question and share it with the community. Within 30 seconds, you’ll start getting your first votes. Swelly started off as a standalone app. But a couple of months in, Swelly made a complete pivot to a chatbot. Lark is one of the most critically acclaimed Chatbots around. Google has called it “the best AI of 2016”. Lark’s main offering are lifestyle coaching, prevention program, and disease management. Solutions range from hypertension care to diabetes management/prevention and general wellness. Lark provides its members with one-to-one support from their Personal Coach. Lark has over 2 million customers who use its ‘Coach’. These are programs created by professors from Stanford, Harvard, and even an Olympic Coach. Lark sends its members devices like wireless weight scales, a blood pressure monitor or FitBits depending on which program you enlist in. 66% of those who need mental health support never get it. Hellojoy aims to change that. Debuted on Facebook Messenger, Joy uses AI and NLU to help those in need. While not a full-fledged therapist yet, Joy aims to be the middle ground. Hellojoy’s offerings are divided into three stages. A super smooth interface combined with a super-bot. Much like with other Chatbots, Joy works around your timings. You can set up weekly or daily check-ins with the bot. Joy passively tracks sleep, exercise and movement data to deliver personalized care. For best results, you can share the data from the bot with your local clinician. Research shows that when clinicians practice measurement-based care, patients are 2.5x more likely to reach remission and will do so 2x quicker. Hellojoy is HIPAA compliant, secure and free. HealthTap is on a mission to make access to health care information and resources easier for everyone, both individually and in the workplace. Healthtap’s chatbot, Dr. A.I., functions as your first-step diagnostic channel. Simply type in your symptoms and conditions, and the bot will use its large database to provide you with personalized resources. If you can’t get an answer, you can connect to one of 100,000 doctors who will respond to you within a day. For further escalation, you can even go to Healthtap’s website and jump on video-call with a doctor in real-time. Much like other ML powered algorithm, it learns as it goes. Each answer feeds into Health Tap’s algorithm, so you can get more appropriate and personalized answers in the future. Medwhat’s mission is to build a unified algorithmic architecture to achieve human-level intelligence in medicine. Similar to HealthTap, Medwhat offers customers various diagnoses based on user entries. Ask medical questions and get answers. Medwhat operates on a freemium model, and offer two tiers of service. Tier 1 is a free app for consumers for general answers. While Tier 2 a paid app for a personalized assistant that you can use through providers and payers. 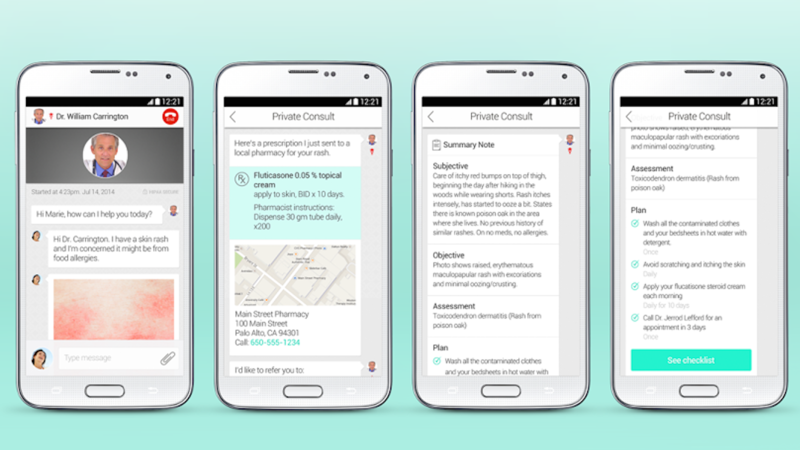 Medwhat is built by healthcare and data science experts from Stanford. It aims to alleviate pressure from doctors and reduce the cost of overall medical expenditure for hospitals. Advertised as a chatbot for insomniacs, Casper’s bot just misses the medical cut. That’s because the company Casper actually sells mattresses. It’s a marketing stunt presented as a chatbot. “insomnobot-3000” is a friendly bot designed to keep you company when you can’t fall asleep. To that end, you can only talk to it between 11pm-5am. It isn’t the greatest bot in the world, but it’s a fun chat. Casper’s idea is that when counting sheep and drinking warm milk don’t work, you have someone to hang out with. If the bot picks up the word “bed” in conversation, it throws in a bit of a shameless self-plug for a Casper mattress. Mitsuku is the poster child for what a Goal-Oriented Chatbot. Mitsuku was created by Steve Worswick We featured Mitsuku in our last blog piece and people seemed to really dig her. And that’s not really surprising, especially when you read some of the reviews she’s gotten. Here’s how Steve puts it. "What keeps me going is when I get emails or comments in the chat-logs from people telling me how Mitsuku has helped them with a situation whether it was dating advice, being bullied at school, coping with illness or even advice about job interviews. I also get many elderly people who talk to her for companionship." Mitsuku is often referred to as the most human-like chatbot. She’s won lots of awards and is featured quite heavily in public discussions about chatbots. From apps that turned into chatbots, to chatbots that turned into apps. 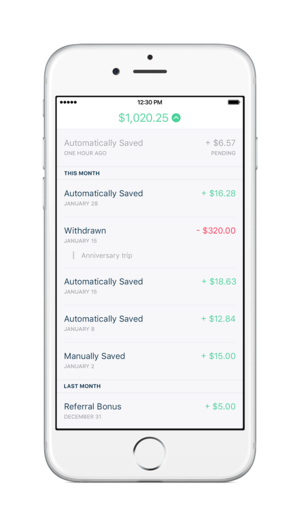 Digit helps its customers save tiny amounts in the pursuit of larger goals. Digit automatically transfer funds from checking to savings every few days in amounts. The amount is determined by its algorithms that calculates how much a person can afford. You can save for emergency funds, holidays, credit cards or student loans. Digit takes a small amount out every week, so you don’t have to keep active track. Automatically save for future goals using Digit. Digit started off as a chatbot. Customers would talk to the bot to set goals and check balances. But as they began to double down on the interface, they realized it was simply too much work. Digit costs $2.99 a month. Arguably one of the most well-known chatbots is DonotPay. You may not know of the company, but you’ve definitely seen one of the articles about it. Chatbot lawyer overturns 160,000 parking tickets in London and New York. I won $8,000 from Equifax in Small Claims Court. Here’s how you can, too. A chatbot can now offer you protection against volatile airline prices. A 19-year-old made a free robot lawyer that can help refugees claim asylum. Built by a student called Joshua Browder, Donotpay is a chatbot that helps you litigate without the help of lawyers. The chatbots asks you a series of basic questions about your situation and who you’d like to sue. It then draws up documents that you’ll need to send to the court to become a plaintiff. It will also generate a script for you in case you need to attend in person. DonotPay helps you save money across the board. You don’t have to hire an expensive lawyer for litigation and your basic legal rights are still maintained. Lawyers are expensive, but so are fines. Donotpay’s parking bot has saved UK and New York motorists an estimated $9.3 million disputing 375,000 parking tickets. H&M is one of the worlds biggest clothing retailers, so it’s news when they put their weight behind new tech. 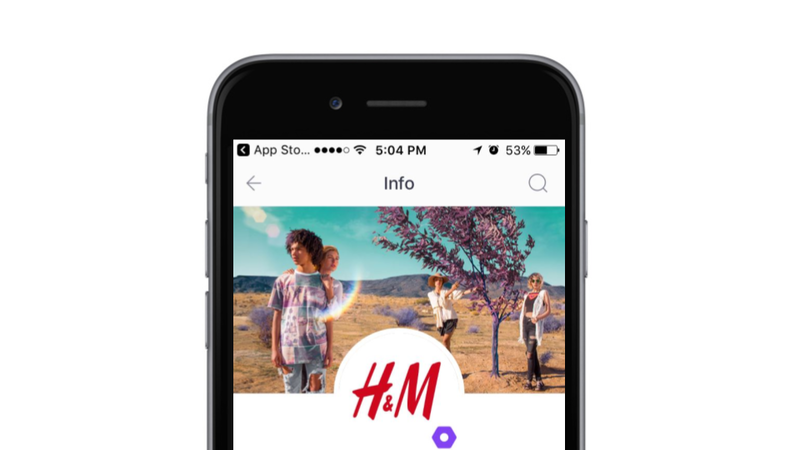 Launched on Kik, H&M uses their chatbot to deliver a more personal shopping experience. The bot begins by asking you questions to gauge your style. It’s super friendly as it does, so it feels more like a game than a hassle. Unlike previous chatbots, H&M hasn’t built the bot to replace the site. The bot creates ensembles for customers and gives personalized fashion device. You can give the bot a piece of clothing and they’ll build an outfit for it around you. From joggers, jeans or tank tops, the H&M bot can be your personal stylist. Tell us a piece of clothing, and we’ll build an outfit around it for you. Anything from joggers and jeans to tops and shirts… we’ve got you covered! We’ll be your personal stylist for your lazy days or for your night outs. 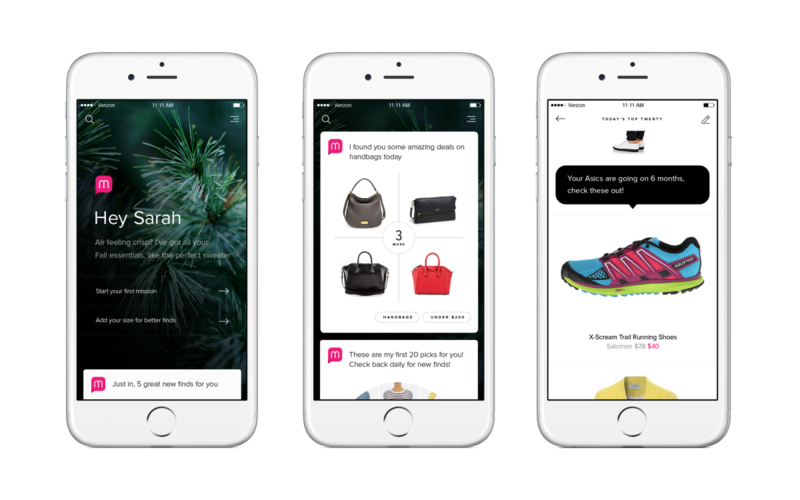 Built by an ex-Amazon employee, Mona is your personal shopping lackey. Think ‘personal assistant of the rich, famous and beautiful’, but in a bot. You can ask Mona for virtually anything. From when a specific pair of shoes go on sale, to a notification for when your favorite designer puts out a product. Mona really exposes some of the non-intuitive experiences e-commerce portals put their customers through. Say I had to search for blue basketball shoes on Amazon. This would be my journey. With Mona, I just have to type “blue basketball shoes below $200”. Mona even learns with each interaction, personalizing its suggestions. Expedia’s been ahead of the curve when it comes to tech advancement. From Alexa skills to Skype plugins, they’ve bucked the trend. The Expedia bot is set up as a hotel search tool that takes in a location and date and finds users five different options. The bot then links the user to the website, where they can complete their purchase. When the booking is complete, you’ll get an updated message in your Messenger window with a link to your itinerary. hello hipmunk: One of the smartest travel bots around. The average traveler runs over 20 different searches when planning a trip. The Hello Hipmunk bot can shrink that process down to a single conversation. The HH bot can process tons of information from flight pricing to room availability and synthesize it instantly. Hello Hipmunk then taps into its large dataset of itineraries, room inventory, and pricing lists to give you context-specific advice instantly. Conversations can also go along the lines of “show me non-stops only” or “I prefer United Airlines” or “I’d like the cheapest flight”. Just like a personal assistant, Hipmunk can understand your conversation contextually. For example, if you type, “I’d like to fly to Bangalore from Chicago next weekend,” Hello Hipmunk knows the dates for ‘next weekend’. Much like H&M, Uber has always been a technological crystal ball. But unlike H&M’s bot, Uber’s Messenger chatbot is legit. Powered by Uber’s API, you can use their bot to a book a cab without having to leave Messenger or download the Uber app. Traditional ride receipts and updates are delivered as private conversations between you and Uber. Uber’s chatbot is one of the best bots in the business. The reason Uber’s chatbot works so much better than H&M’s is because Uber maximizes use of the Messenger platform. Uber’s chatbot exploits the social nature of transportation. Do you have a date with a friend? Send them the location of the restaurant on Messenger, and they’ll be able to book a cab by simply tapping the address. Running late for an appointment with your colleague? Share your Uber trip through Messenger and they’ll know exactly when you arrive.